My all-time favourite superhero film (_Batman: The Dark Knight Returns_) is an animated DC movie, so I'm always willing to give a chance to whatever they bring out in my never-ending search to find the next great one. Unfortunately, most end up being pretty poor offerings. But there's a decent number that end up somewhere in the middle, and _Gotham by Gaslight_ is on the higher end of that spectrum in between. The voice acting offers nothing special. Stylistically, the animation leaves a lot to be desired (don't let that gorgeous poster fool you). 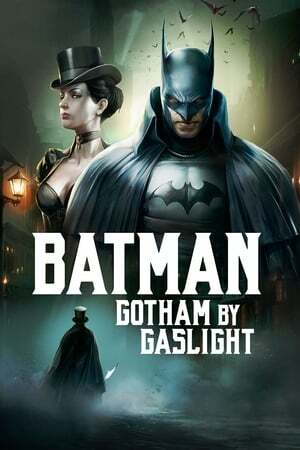 But it's the story that's truly important, and here _Gotham by Gaslight_ finds enough success in its Elseworld telling to come off with a win.